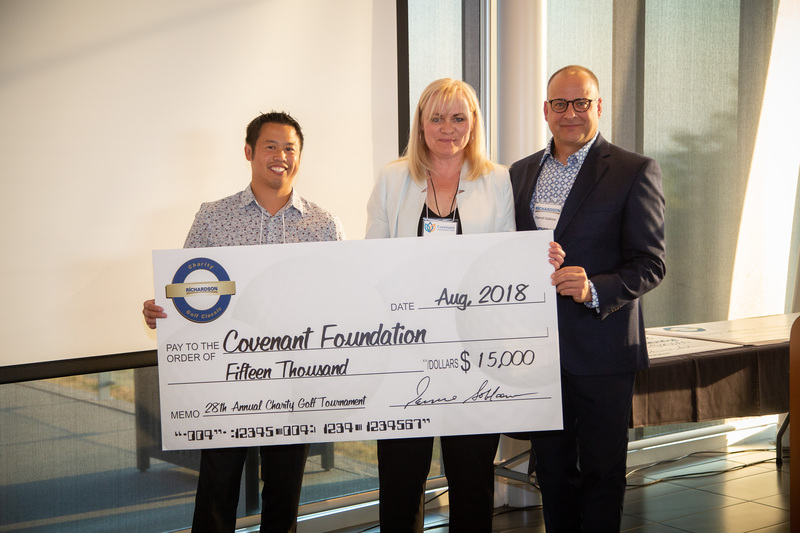 Covenant Foundation accepted a generous cheque after hosting a hole at the 2018 Richardson Oil Seed Charity Golf Classic. 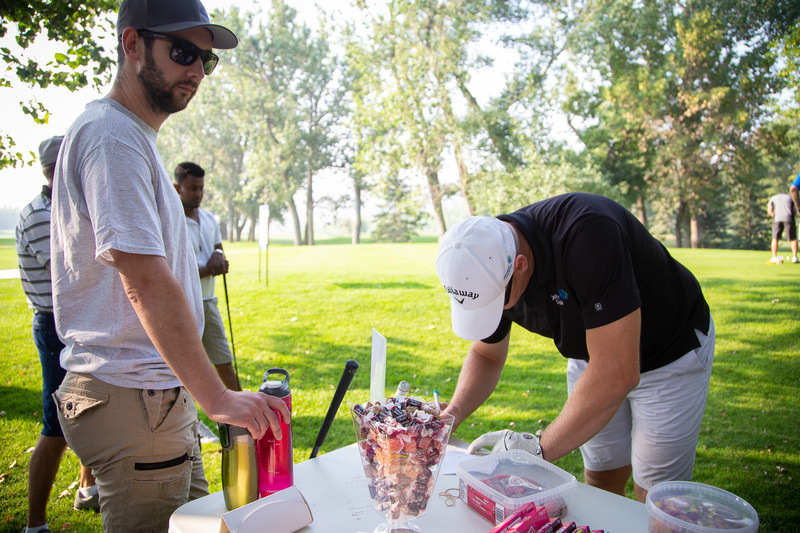 Last month, the Covenant Foundation sponsored a hole at the annual Richardson Oil Seed Charity Golf Classic in Lethbridge and in return, Richardson donated a portion of the proceeds back to the Foundation. The Foundation is grateful for the generous $15,000 donation and is excited to make next year's event bigger and better! The Foundation had several volunteers come out to help during the tournament and we greatly appreciate their dedication! There were several activities set up at the Foundation sponsored hole, including the full candy station pictured below.